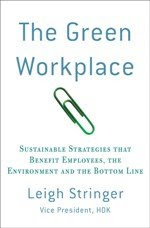 The Green Workplace: Setting Trends in Kansas? “There’s No Place like Home, There’s No Place like Home”….Sound familiar, well Dorothy isn’t headed to the Emerald City anymore; there’s another kind of Green in her future. Do you remember hearing this news on May 4th, 2007? “The town of Greensburg Kansas was destroyed in a matter of 15 minutes by an EF-5 tornado, the strongest of 25 tornados’ that night that broke out over Oklahoma, Colorado, Kansas and South Dakota.” (http://abcnews.go.com) I don’t know about you, but hearing this sent shivers up and down my spine. Coming from a small town in Kansas myself, this news hit too close to home for me. With all of the devastation, many homes and businesses were entirely demolished. The community decided to approach rebuilding with a very different outcome in mind.